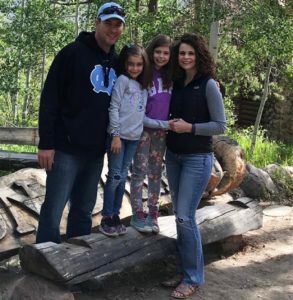 Dr. Franklin Allen was born in the coastal North Carolina town of Wilmington, North Carolina and moved to Ogden, Utah for his Middle School and High School years. After graduating from Ogden High School, he attended the University of Utah to earn a bachelors degree in Exercise and Sport Science. Dr. Allen worked in the medical insurance industry while working to gain acceptance into Dental School. During this time he met and married his wife Amber. Together they traveled to South Carolina where Dr. Allen completed his dental degree at the Medical University of South Carolina in 2008. Following dental school he was accepted to complete a General Dentistry Residency at the Salt Lake VA hospital. In addition to serving our veterans, Dr. Allen practiced under the mentorship of some of the Salt Lake Valleys finest dental specialists. Dr. Allen came into contact with Dr. David L. Christensen DDS, a Veteran and local dentist through contacts at the VA and was honored that Dr. Christensen allowed him to acquire his practice. Dr. Christensen saw his loyal patients as friends and family, and has passed this stewardship on. We look forward to providing caring and personal dentistry for your whole family.